It was Labor Day 1921. A lively party was happening in Room 1219 of the St. Francis Hotel in San Francisco, California. Movie stars Roscoe "Fatty" Arbuckle and Lowell Sherman were there, dressed in their pajamas and sipping on cocktails, along with their cohort Fred Fishback. They booked the two adjacent rooms and invited some ladies to join them in some Prohibition-era naughtiness. Young up-and-coming actress Virginia Rappe was one of those ladies. Everyone was having fun when things took a turn for the worse. At one point, Arbuckle and Rappe had sneaked off to be alone. Rappe suddenly began to write in pain. She was in agony, tearing at her clothes and the fellow party goers had no clue how to help her. She was moved to room 1227 where nurses and doctors treated her and eventually she was moved to a local sanitarium. Rappe died on September 9th, 1921 of a ruptured bladder and all fingers pointed to the larger-than-life movie star Fatty Arbuckle as the person to blame for Rappe's untimely death. 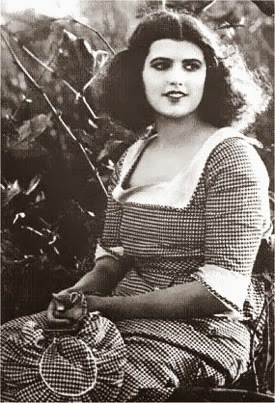 The death of Virginia Rappe and the trials against Fatty Arbuckle that followed was a series of events that forever changed film history. A movie star acting badly was one thing but being linked to someone's death was a whole other story. It was a result of the very public Arbuckle case and some other Hollywood scandals that the Hays Code was inevitably written and eventually enforced. Movies and their stars were now seen as a potential bad influence on movie goers and Hollywood had to reign that in quickly if it wanted to prosper. Arbuckle was never convicted of a crime against Rappe but was forever marred by the scandal. His acting career and his flamboyant Hollywood life was essentially over. He went on to direct films and found himself behind the same camera that he had once found so much success in front of. Greg Merritt's Room 1219 is probably the best book I've read all year. It's incredibly well-organized, insightful, thoughtful, unbiased, thorough, clear and well-written. I was very interested in the Arbuckle-Rappe scandal but was worried that I would be overwhelmed with boring information about the three trials. My experience was quite the opposite. I was enthralled and found myself not wanting to let the book go. The key to the book's success is Merritt's organization of the chapters. 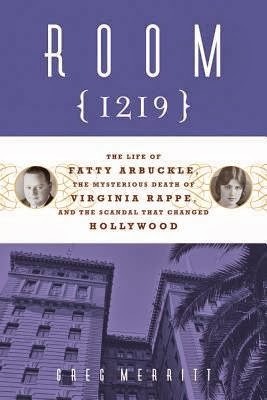 Each chapter alternates from the details of the scandal to biographical chapters on Arbuckle and one on Virginia Rappe. Flipping back and forth gives you a respite from being overwhelmed with too much detail. And this book has a lot of information to take in so the structure really helps. You go from the minute details of the scandal, the case and the three (yes three!) trials to the humanity of the lives and careers of Arbuckle and Rappe. Even though there is only one chapter devoted to Virginia Rappe I don't feel like she was neglected at all in this book. There isn't much information on her but Merritt does very well with the sometimes conflicting data he acquired. He pieces together her life in a way that we really get a sense of who she was. He also devotes a chapter to Will H. Hays, the man who developed and enforced the Hays Code which restricted what could be shown in films. The Arbuckle-Rappe scandal is one of the major reasons why the Hays Code was put into effect so it's crucial for readers to understand what implications that scandal had for film history. You also learn quite a lot about Arbuckle as a man and as an actor. Arbuckle was married, yet privately separated from his first wife Minta Durfee, and very popular and well-known at the time of the scandal. It really couldn't have come at a worst time in his career. There is a lot of humanizing of Arbuckle. 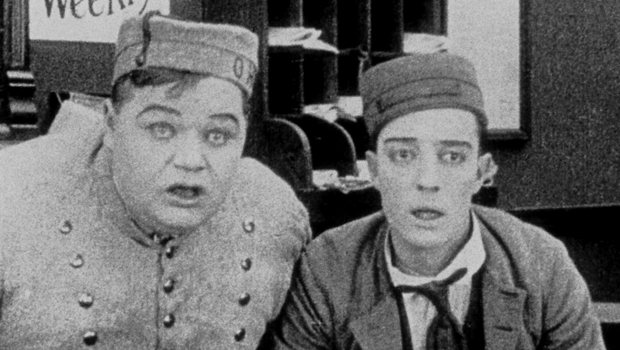 We learn about his three marriages, his troubled relationship with his father, his penchant for buying expensive automobiles and his friendship and working relationship with Buster Keaton. However, Arbuckle is painted not as a martyr but as a man with all his strengths and weakness on display. My favorite chapter in the book is entitled Labor Day Revisited. In this chapter, Merritt carefully lays out each and every scenario of what happened that evening on Labor Day 1921. Did Arbuckle really kill Rappe or was he a victim of circumstances? Merritt gives us the scenarios presented by the Defense and the Prosecution and examines the strengths and weaknesses of each argument. And with all the information he has collected, Merritt gives us his own conclusion of what happened. What I love about this books is how unbiased it is. Merritt is working off of his research and lets the information speak for itself. It's in stark contrast to all the articles published in many news outlets during the scandal that wanted to paint a story that tantalized and entertained. Whenever I write a book review I try to present a books strengths and weaknesses. I really couldn't find any fault with Room 1219. If you are not interested in the time period, the context or the people involved then this book might not be for you. However, if you do have an interest in the Arbuckle-Rappe scandal, film history or 1920s history in general, then you need to run out and buy this book immediately! My only very small complaint is that I wanted to learn more about the Mishawum Manor scandal that Arbuckle was indirectly linked to prior to Rappe's death. Merritt dedicates only a few pages to this. My reason for wanting to know more is that this scandal happened in my very own neighborhood! And I had no clue! Thanks to Merritt I have a new research project on my hands. Greg Merritt is also the author of Celluloid Mavericks: A History of American Independent Film Making, Film Production: The Complete Uncensored Guide to Filmmaking and Off the Lot: A History of American Independent Film. Thank you to Meaghan from Independent Publishers Group for sending me a copy of the book for review! Great review! I really want to read this book - I'm glad you posted about it. I've always been really interested in what happened and whether Arbuckle was indeed guilty or not. I'm adding this to my amazon wishlist RIGHT NOW! What a great review, Raquel -- I really want to get this book! Wow, this sounds like a great book! I'm familiar with Arbuckle by his partnership with Mabel Normand, another person involved in scandals (this time with the death of William Randolph Hearst). Her story would also make a very good book, wouldn't it? This is a brilliant review! Riveting! I am new to Booklikes. Still need to find people behind the books. lol. I am following your blog now. Funny how I waited to read this until after I wrote my review, but then we had a lot of the same thoughts about the book! I agree that it is one of the best books of the year. It's huge what Merritt has done to repair Arbuckle's reputation. I also dreaded the courtroom chapters and was delighted to see how fascinating he made them. Details are everything. Wonderful review. I just read this book myself, and I found it the most absorbing non-fiction I've read this year. Anyone interested in Hollywood in the Silent Era owes themselves a copy of this book! Your review covers it quite well.